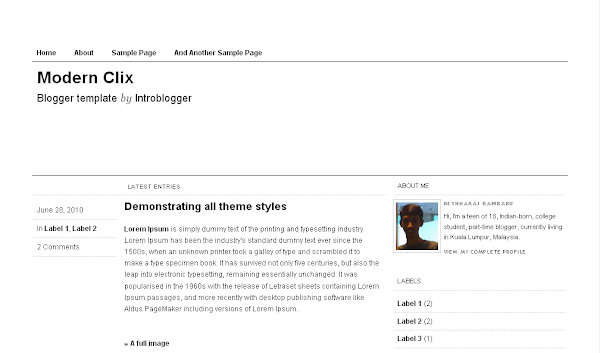 Minimalist design blogger templates are becoming new trend lately as Bloggers nowadays started to understand the basic premise of blogging, a simple online diary or web log. 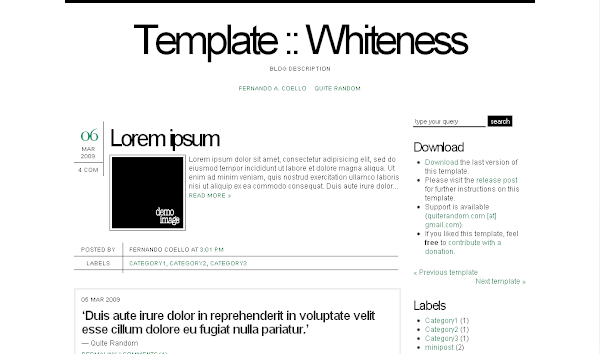 This type of templates contains very few colours, limited graphics and hence giving more priority to the contents/text. 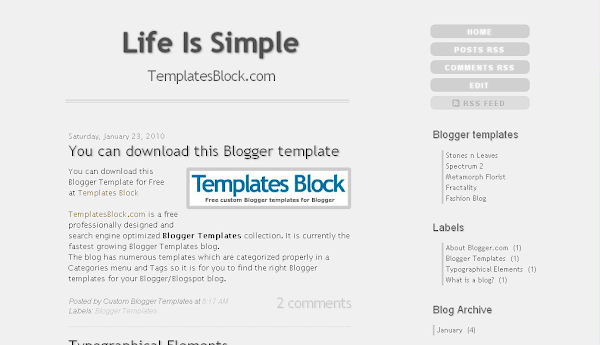 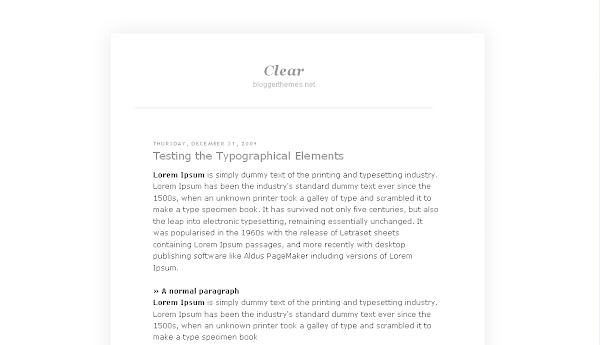 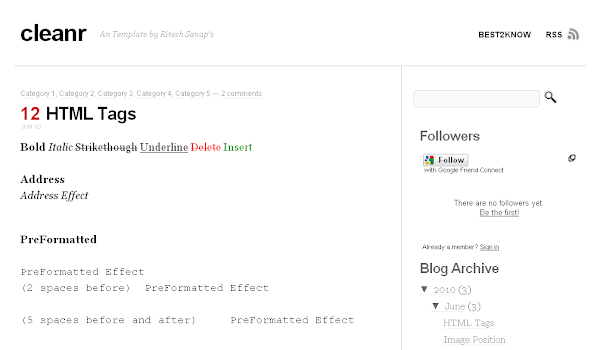 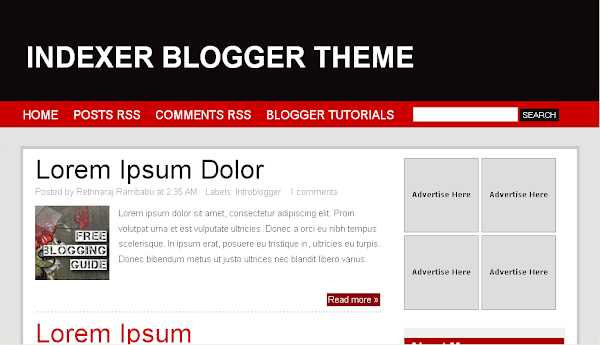 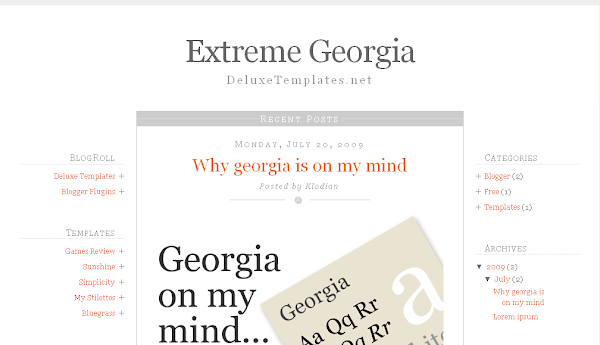 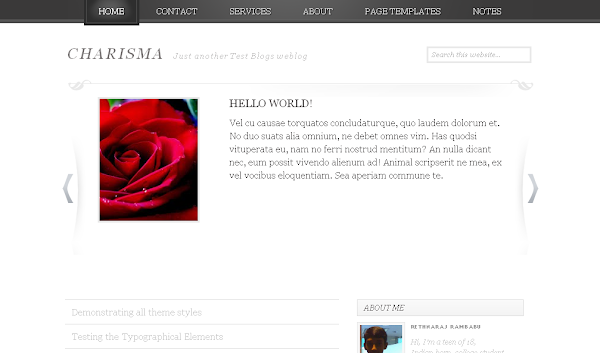 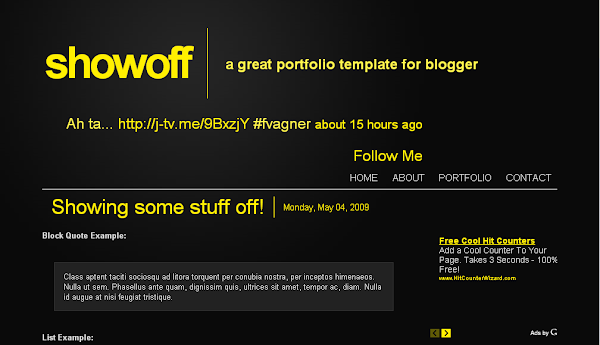 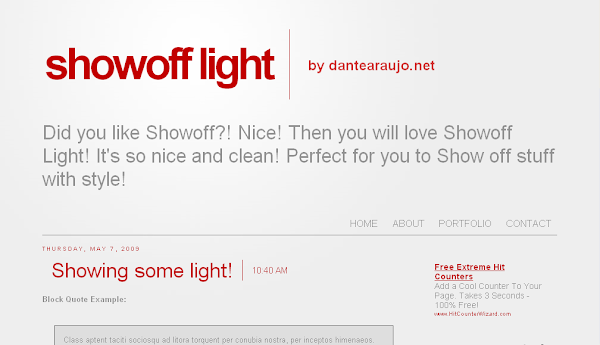 You’ll find a collection of 14 clean, simple, minimal Blogger templates below. 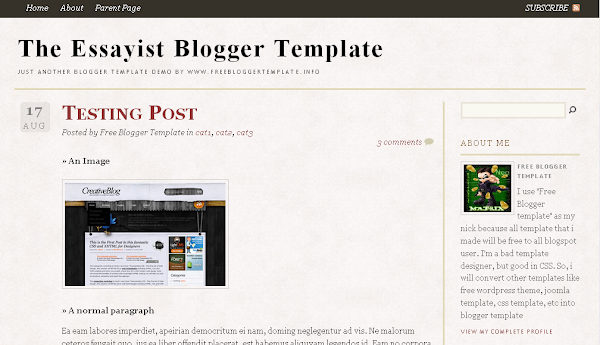 I hope that this post would help you to find the template that you’re looking for. 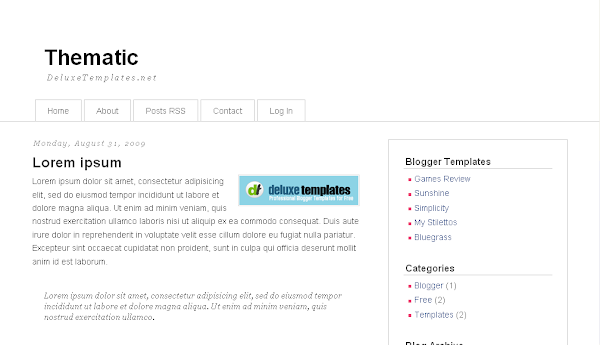 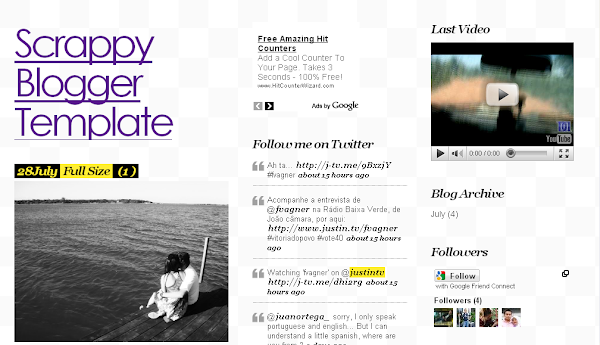 Previous Post« Previous How to create rounded corners with CSS3? 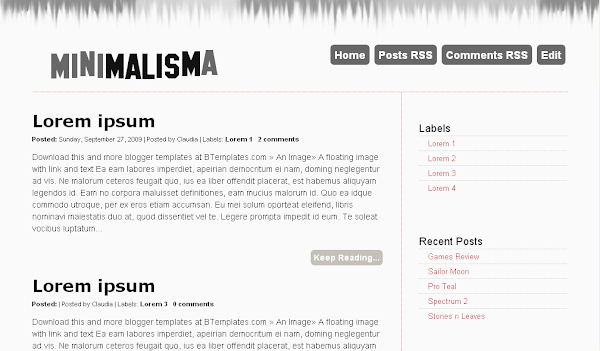 Minimalis design is trend for this time bro..